A B M P m e m b e r s e a r n F R E E C E a t w w w. a b m p . c o m / c e b y r e a d i n g M a s s a g e & B o d y w o r k m a g a z i n e 15 MIND OF AN MT Have your own insights or inspiration to share for Mind of an MT? Email editor@abmp.com. For as long as I can remember, I longed to become an artist. At 15, I began the dream of being a "creative" by apprenticing in fine metals with a silversmith in my hometown. Over the next 15 years studying in New York City, I went on to become a goldsmith, diamond grader, and master stone setter. In 1985, after I had been working in metals for five years, I discovered manual medicine. Debilitating headaches— unsuccessfully treated by doctors, prescriptions, or even meditation—opened my mind to massage therapy. "You don't need drugs, you need a massage!," my friend Dennis Bosch told me. In 20 minutes of seated acupressure around the neck and shoulders, Dennis made a greater difference than anything else ever had. On that day, not only did he decrease my pain, he inspired a career that would completely change my life. MASSAGE AS MEDICINE Years later, while my children were still young, I survived a traumatic brain injury (TBI). After awakening from a coma with almost no vision in my right eye and damage to the neural pathways on my entire right side, I found massage and exercise to be invaluable to my recovery … and key to my happy future. Visually challenged, it was a no-brainer to use my experience with massage as manual medicine to begin a new career path. After becoming nationally certified, I trained in Swedish massage in Vermont, tui na with Ken Lubowich in Beijing, and oncology massage with Tracy Walton in Boston. Blessed with fantastic instructors, I quickly opened my own practice in a PT office with multiple locations, and I gained useful experience working in chiropractic settings. Just a few years into my private practice, I was contacted by the wellness department of the University of Vermont to begin offering seated massage to faculty and staff. Eventually, this led to grant work in the oncology department of a nearby hospital. I trained an assistant, who now helps me fulfill contracts with various departments at the university. I look forward to every day, because my work is so rewarding. Each day I learn and I share. Creating continues as I dip my "brush" into a beautiful palette of techniques. I enjoy communicating with clients, setting the environment for optimal outcomes, and facilitating a positive transformation whenever possible. The combination of working for existing health-care practices and being my own employer in private practice has been ideal for my life as a single parent of three children. I paint for enjoyment and expression, and Dennis is still one of my dearest friends. Inspired by Adversity Unexpected Hardships Lead to a Career in Massage By Kirsten Wiley And massage continues to help me personally. As I discovered that endurance running, biking, and swimming helped my TBI recovery, I found I needed massage to help manage muscle tension. The exercise, tempered by massage therapy, gives me a strong mind and body to deliver therapy for others. Kirsten Wiley studied massage therapy originally in Vermont, then traveled to Beijing twice for studies in tui na. 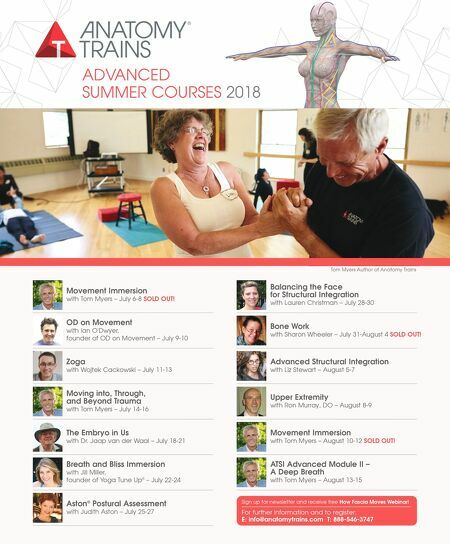 Inspired by Tracy Walton, Wiley studied oncology massage therapy (OMT) in Boston and has been providing OMT for the University of Vermont Medical Center since 2011. Wiley and her assistants also work with students at the university while maintaining a private practice in South Burlington, Vermont. Kirsten Wiley works at the University of Vermont track, performing massage therapy for the senior games. Wiley brought her students to experience real-world massage, which was integrated with tui na and shiatsu.